Danny Margagliano and Arlene Margagliano with 30a Local Properties in Santa Rosa Beach, Florida are proud to have many of our customers write letters thanking us for the good job we have done and the impact that we have had on their families. On this page we are listing some of the letters that have been sent to us. Testimonials can be the most powerful and insightful pieces of marketing that anyone can have because there is only so much we can say about ourselves and only so much of that that anyone will believe. We hope that by reading these letters sent to us from our customers that you will see the loyalty that we have built with them and that we plan on building with you. So, here’s the real scoop coming directly from our clients, who have bought or sold homes and condos with us in Santa Rosa Beach, Miramar Beach and Destin Florida. Why do people love buying homes and condos in Santa Rosa Beach, Destin and Miramar Beach from us? My wife and I would like to thank you for all the time and effort you put into us buying our dream lot. Your knowledge and expertise allowed us to purchase the property with both ease of mind and ease of effort. Your constant communication with us, the seller, and lender made everything go very smoothly. I will proudly recommend you to everyone I know in need of any real estate issues. Thanks again for everything! I recommend Danny Margagliano and 30a Local Properties to anyone who is looking for a diligent and trust worth realtor in the Destin / South Walton market. movemen for the best possible price and ensured all the steps along the way were perfectly handled. Thanks, Danny, you’ll be the first person I call for any local real estate transactions in the future. Danny assisted my family with the purchase of a home in South Walton County. He was very patient with the process and made sure that we found the right home for my family. Danny is very knowledgeable of the local area and has the experience to smoothly negotiate your property transactions from the routine process to the unexpected and obscure details that might arise. He was also very responsive to my many inquiries and was an overall professional. Danny was great to work with, He was able to get us a showing within a day and handled everything with inspector info, insurance info and title company to get a smooth closing done in 2 weeks. Thanks Danny!! We will be looking for more places in the future. I felt compelled to write to relate our excellent experience with Danny Margagliano and his team in the listing and selling of our Destin Condo. We had listed with a large firm earlier and the condo sat for well over a year with no offers and with very little feedback from that firm. We then went with team Margagliano and saw an immediate difference. We were continually kept up to date and had an offer and sale within two months. My wife and I now realize that a large volume of sales can also translate into a large volume of failures. We are not hesitant in highly recommending The Margagliano team and will contact them first for any future sales or purchases that we may desire. Danny dealt with a very challenging buyer and negotiated fair terms for all parties. The financial investment analysis was an approach that few agents use but it separates the great from the good. Danny was diligent in his marketing to ensure optimal exposure. My wife and I along with my two children decided to visit Destin, Florida for a family vacation in August 2014. We immediately fell in love with the beach and area, so much that on our last day there we met with Danny Margagliano and his mother Arlene. “What a team Danny and Arlene were from the beginning”. They showed us a total of 9 homes that day. Danny and Arlene wanted us to find the perfect home for our family. They were extremely patient and a wealth of information. We decided to purchase the last home we saw. My wife and I closed on the home 30 days later from our home in Houston, Texas. We call it our 30-day miracle due to God’s divine plan for our meeting Danny and Arlene. I cannot express the passion and devotion they both have to find people the right home that fits. If you want to purchase a home and live in beautiful Destin, Florida having Danny and Arlene as your realtors are your first step to making your dream a reality. I pray all is well with you and the family. Keep in touch! I would like to take the time to thank you for leading our family through the home buying process in Florida. We bought our place in Panama City Beach and you went above and beyond our expectations helping us navigate the process. You answered all of our questions and concerns in a timely manner and were a great advocate for us. Thanks again or staying in touch after our closing, and we’ll be sure to stay in contact if we require your services in the future. Originally I listed my property with a friend who is a one girl Real Estate Firm. After a month or so nothing was happening, not even an open house. So I took my property off of the market & thought I would interview big Realtors in the Destin area. Before I did, Danny Margagliano called me out of the blue. He later told me he saw my listing expired. We made an appointment and Danny showed me what his team could offer. After meeting Danny I chose to list my property without interviewing any other realtors. Danny’s team came in with professional photo’s, open houses, web pages and SOLD my home in the first month. Also, allowed me to reserve the things I wanted to keep and got the price I was wanting. Most of all & very importantly, Danny was involved throughout the entire loan process. As a Retired Real Estate Agent myself, this gave me such relief. Thank you Danny, for all you and your team did to sell my beach house. And I will absolutely recommend you 10,000 times over. We would like to commend Danny and Arlene for their dedication, devotion, and knowledge in the Real Estate business. When we began looking for a new home, Danny and Arlene were prompt and courteous to our requests and always gave us the most informative and useful advice regarding the purchase of our new home. They both stayed in constant contact with us and returned all phone calls and/or text messages immediately. Danny and Arlene are an unstoppable team and they will make you feel as though you are their main priority. Words cannot describe the experience we had with them. From initial contact to even weeks after closing, Danny and Arlene made sure that everything went smooth and hassle free for us. It is an experience we will never forget and we appreciate all they did for us. My family and I wanted to take a couple moments of your time with this note and thank you for your support through our beach property purchase process. We had never been through the process of buying property remotely. 1. You never pushed us to do anything, you supported and provided options. 2. You provided us with local knowledge and market insight. 3. You helped us find local professionals needed during the entire process. 4. You introduced us to Mike Spicer, the best builder on the Gulf Coast. 5. You supported us so could do everything remotely. The picture shows what you helped my family find. We now enjoy it almost every weekend. My wife Jamie and I just had the extreme pleasure of working with Danny and Arlene Margagliano when selling our home in Santa Rosa Beach. they not only sold our house in 35 days but also did it for only $5000 less than list price! We then moved ahead rate away with having them helpless purchase our next home which they help negotiate the price down below market value and well below the appraisal. We can truly say that they both met and exceeded our expectations by leaps and bounds. They were both so knowledgeable about the current real estate market that they place their home perfect for us to sell it in a record time at a very acceptable price to us. We are extremely grateful for their sound advice during what could have been an extremely stressful endeavor. We would highly recommend them to anyone who desires real estate agents who will do everything in their power to make sure their clients are well represented in the purchase or sale of their home. Danny sold my house and did EVERYTHING perfect from start to finish. He presented me with a professional proposal right off the bat that laid out all of the comps in the area and gave me a realistic picture of what my house would sell for. From the minute I hired him things happened fast and smooth. My house was listed and sold within a week and closed in under a month. I was out of town for the majority of this time and unavailable and it didn’t matter; everything was just handled. I made more than I had originally anticipated and his estimates, in the beginning, ended up being spot on. I didn’t have to ask for updates or even have the chance to get nervous about anything because he communicated with me through the whole process and was totally available to me whenever I needed him or had a little question. Everything was so simple I am actually considering buying a vacation rental now! On top of everything his pictures of my house were so good that I used them to sell my furniture and ended up selling my used furniture for more than what I paid; It is amazing what a huge difference good photos can make. I would recommend Danny to anyone, and I plan to use him for my next purchase, he has totally changed my opinion on buying and selling homes… it actually can be done with no stress or headaches. Danny and Arlene Margagliano were a pleasure and fun to work with. 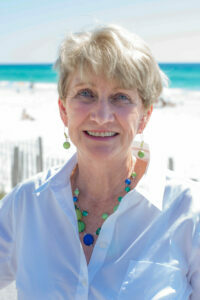 They were knowledgeable about the Destin real estate market and very considerate. They consistently gave us sound advice based upon their past experience and history which able to make a decision with a calm mind. We really appreciated their diligence on getting all the contracts and paperwork done in a short time. We wholeheartedly recommend them as trustworthy and knowledgeable Realtors. Danny assisted my family purchase our Nantucket Rainbow Cottages condo unit in Destin Florida. He was an awesome agent! When we met him, we didn’t know much about Destin, but Danny was a great asset to have on our side and made the process so smooth, especially considering that we were from out of state. Danny personally visited several properties that we couldn’t due to the logistics of us living out of state and gave us detailed reports, which saved us time and money. will we tell people that we purchased our property in Destin before we even saw it they cannot believe what we tell them. My family and I are not only pleased with our purchase but feel so blessed to own our little piece of paradise. Without Danny’s trustworthy advice and professionalism buying this condo would have been impossible. When we are ready to make our next Destin purchase, I will definitely want Danny to be in our corner fighting for the right price for us!! We found Danny and Arlene Margagliano to be well prepared and their research was beyond thorough into the properties that we were looking to purchase. We were very pleased with the service that we received. There were very pleasant to deal with. They had the answers to our questions and even anticipated ones that we hadn’t thought about. If we ever need a Destin real estate agent again, we will call them first. I am a real estate investor in business since 2000. I have always worked with listing agents. 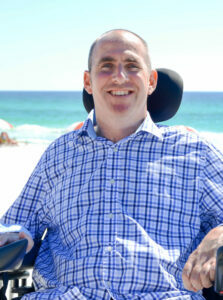 In 2011 I met Danny who was working at an open house for one of his clients at Greenreef Townhomes in Destin Florida. He made a huge impression on me with his personality skills, knowledge of real estate and his Association with so many other real estate agents, mortgage lenders, real estate companies and active buyers in the area. Working with Danny and seeing him deal with me, a tough person to represent, I am now dedicated to using Danny as my agent whenever I am looking to invest in Destin or Miramar Beach. Danny is outgoing and aggressive while knowing how to deal with each individual and each situation. when Danny does not know the answer to one of my questions he is always able to find the answers immediately and get back to me quickly. He does not let deals slip by him and Danny is able to make deals happen. I recommend him to a new home buyer and to experienced real estate investors. I have recommended him to many friends as well I have seen him deal with short sales, foreclosures and “normal” real estate deals which makes him valuable to represent anyone looking to purchase a piece of real estate. As an experienced buyer, I am happy to write a referral for Danny Margagliano knowing he will represent anyone professionally. He is not your average real estate broker. 2 Thumbs up. I bought a home from Danny in Freeport, Florida. I have already recommended Danny to help another person to buy a home. I wanted to take a few minutes to express our appreciation for all of your hard work during you did on the purchase of our condo. I know you shouldered most of the work on both sides of this transaction, even when it wasn’t your job to so. We were surprised at your work ethic in the beginning, but have since learned that this is how you treat all of your customers from the initial showing to the closing and far beyond! We can’t thank you enough for helping us to find our dream away from home at the beaches of Destin Florida. Recommending you to our friends in the future will be a piece of cake! Being far away from the place you’re looking to make a real estate investment can be a nerve-racking event. We researched many real estate agents in the area and we decided they were going to purchase property in Santa Rosa Beach we went with Team Margagliano and never looked back. Working with Team Margagliano was a stress-free experience. They are friendly, patient, caring, well-versed professionals who work very hard for their clients to get the right home and at the right price. They were always easily and readily available to contact not only during the process of buying but even well after the sale. We’re thrilled with our home purchase and would not hesitate to recommend Team Margagliano to anyone who is selling or buying a home.